This a stunning county of great contrasts, with two beautiful coastlines, two National Parks and five official Areas of Outstanding Natural Beauty. There’s so much to visit and do: family attractions, historic buildings, award-winning places to eat, thrilling outdoor activities, and exciting events happening all year round. For beaches, Devon can’t be beaten. Sandy family-friendly beaches, tiny pebbled coves, wild and windswept bays with stunning views – we have them all. And glorious green countryside? We’ve got it in abundance, plus rolling hills, bountiful farmland – and craggy moorland. 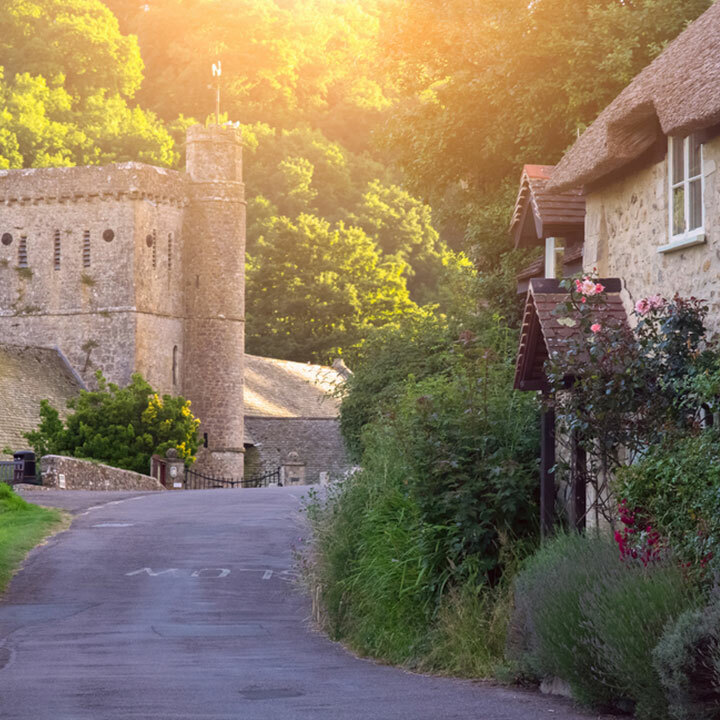 Follow the winding road to the village of Branscombe to find typical Devonian thatched cottages and. St Winfred’s church. Branscombe beach is part of the Jurassic Coast World Heritage Site, and part of the East Devon Area of Outstanding Natural Beauty. Ideal for families, this shingle beach has rockpools to explore and is a great place to swim. Coast path walks also run alongside the beach if you prefer not to get your feet wet! 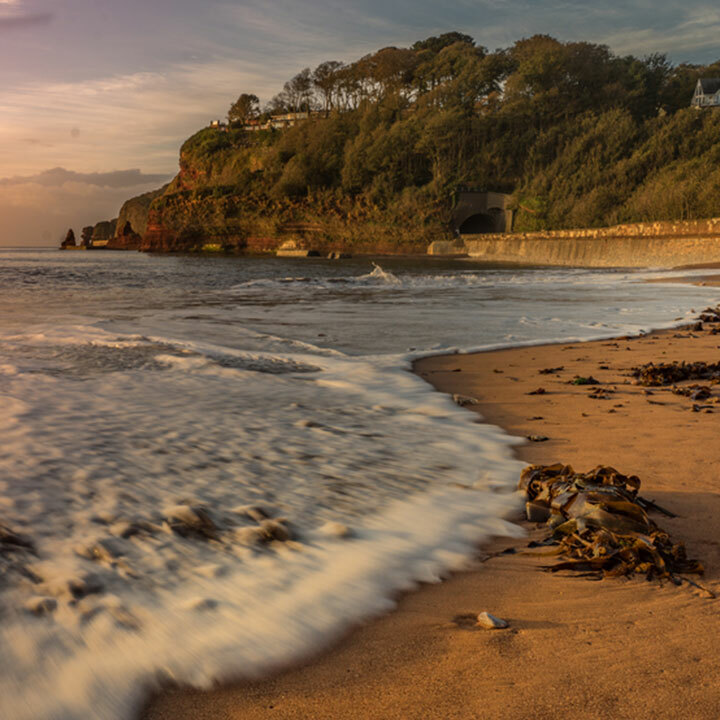 Head east to the village of Beer, or west towards Sidmouth for spectacular views along the South Devon coastline. One of the most vibrant, attractive and historically interesting cities in England, pre-dating the arrival of the Romans in AD 50. This is reflected in its fascinating visitor attractions including its unique Underground Passages, free Red Coat Guided Tours, magnificent Cathedral, imposing Roman wall, the award-winning Royal Albert Memorial Museum and beautiful Quayside. The diverse mix of eateries means it’s renowned as one of the foodie capitals of the South West. Head to the West Quarter or the cobbled Gandy Street to discover plenty of independent shops, boutiques, cafes and bars. 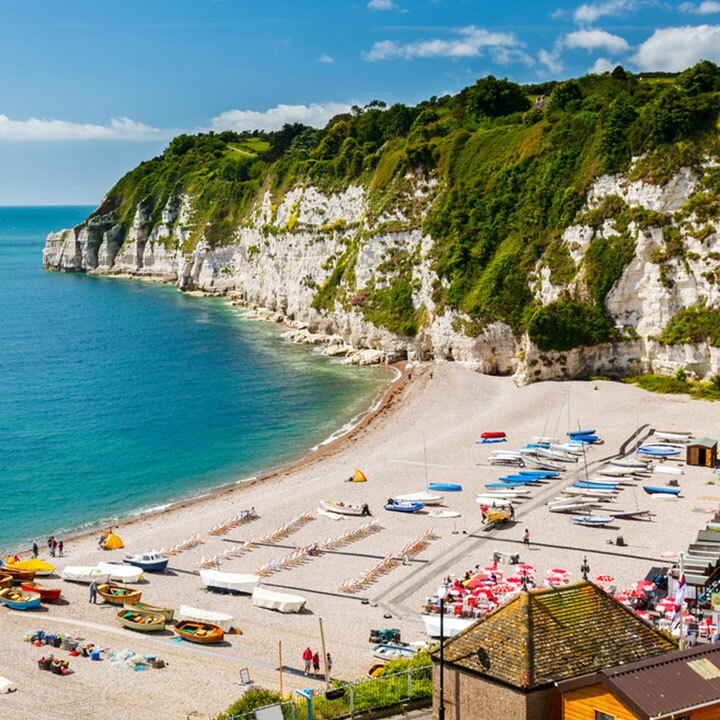 Beer beach is a beautiful family-friendly shingle beach surrounded by limestone cliffs and close to the town of Seaton. Great for families, this beach is also ideal for swimming. The South West Coast Path runs along the top of the beach providing stunning views along to the Jurassic Coast and up to Dorset. There is a small car park adjacent to the beach and larger ones in the centre of the village and at Beer Head (about 15 minutes walk from the beach). Steam railway fans will love Pecorama, a mecca for railway modellers perched above the village of Beer, and featuring an extensive miniature railway through stunning gardens. The Port of Dartmouth Royal Regatta, labelled the ‘Best in the West’, the Royal Regatta always lives up to its reputation with superb competition and brilliant entertainment. 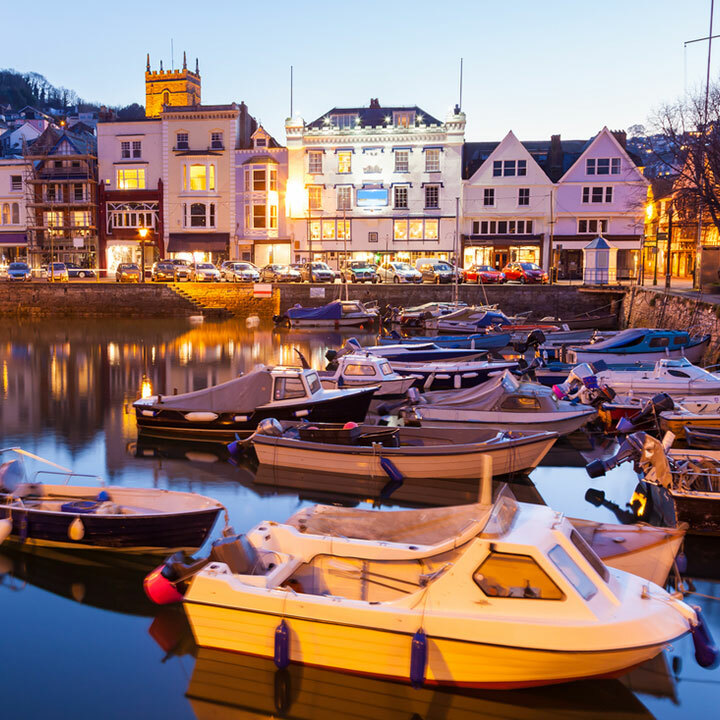 Thousands of visitors from the region, nation and indeed the world descend on Dartmouth every August for a packed three-day programme of air displays, sailing, sports, live music, street food, fireworks and more. Plenty to see as well as the legendary Dartmoor Letterboxes on the moors. WIDECOMBE IN THE MOOR In a gorgeous setting with tea rooms, hotels, shops and pubs, this village often has wild ponies, sheep and cattle meandering on the village green. 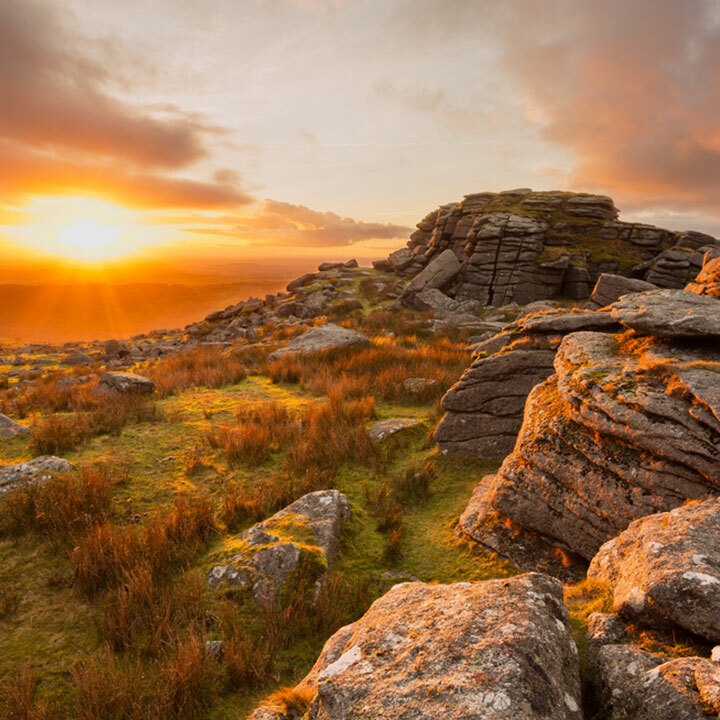 ASHCOMBE – A lively town nestled on the southern side of Dartmoor, home to many antique shops, galleries, book shops and a variety of eateries. MORETONHAMPSTEAD – A busy, pretty, small town popular with walkers, cyclists, antique hunters and cream tea and art enthusiasts. 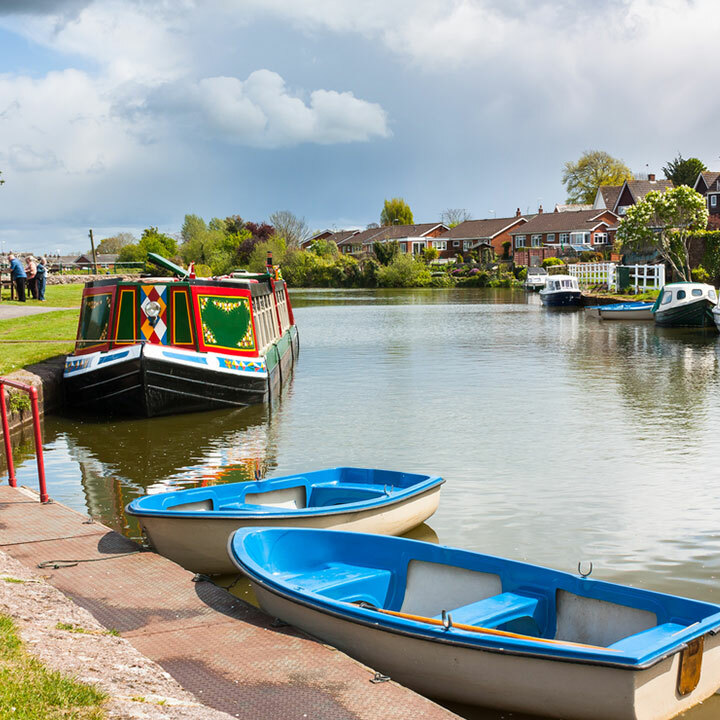 The Grand Western Canal Country Park and Local Nature Reserve meanders through beautiful Mid Devon countryside and quiet villages between Tiverton and Lowdwells (near the Somerset border). Extending for 11 miles, the country park provides a wonderful location to enjoy a peaceful walk or cycle ride along the towpath. You can experience a ride onboard the much-loved horse-drawn barge that has been taking passengers for trips along the canal since 1974, enjoy a day’s fishing, hire a rowing boat or a canoe, launch your own boat or keep your boat at the marina moorings. 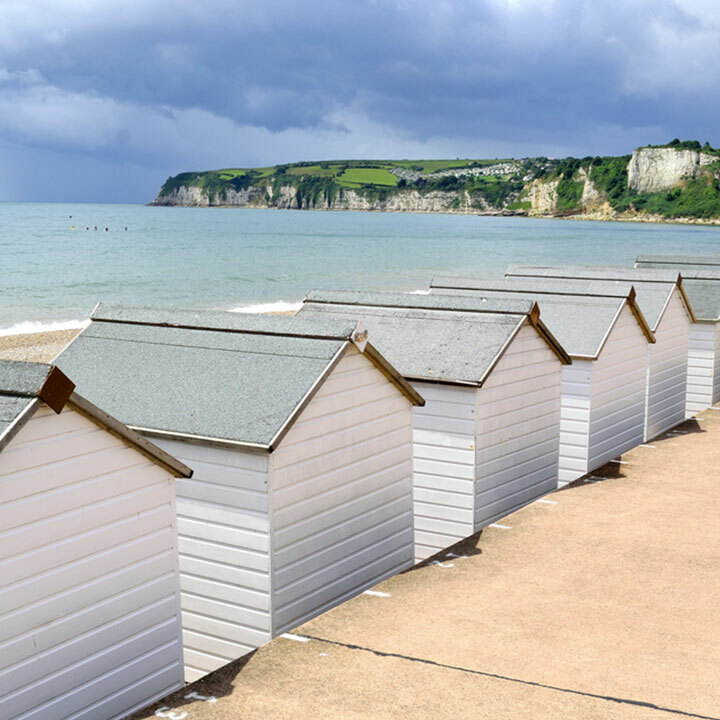 Sitting at the heart of the Jurassic Coast World Heritage Site, Seaton’s beautiful scenery and natural environment are a joy to explore. Whether you love walking the South West Coast Path, running, cycling along nature trails or bird watching from one of the hides at the Seaton Wetlands, or riding on the Seaton Tramway whose narrow gauge heritage trams run through miles of unspoilt countryside. Home to a variety of vibrant entertainment including Seaton Artisan Market, craft markets, an annual illuminated carnival and regular arts events such as Art@Jubilee. Much of Topsham’s appeal is its undoubted ‘Exe Factor’; that is, the wonderful array of estuary wildlife that can be found right on its doorstep. The Exe Estuary is a haven for a variety of birds such as Bar-tailed Godwits and Brent geese that populate the picturesque reserve at Bowling Green Marshes. Winter visitors may spot the elegant black and white avocets that give their name to the branch line which passes through Topsham on its way to Exmouth. The town has a surprisingly cosmopolitan feel with specialist independent shops, stylish restaurants, historic pubs, antique markets and boat trips over the river Exe. Selected by The Guardian as ‘one of the top 10 cycling cafés in the UK’, the ‘Route 2 Cafe’ is on the Route 2 cycle path. 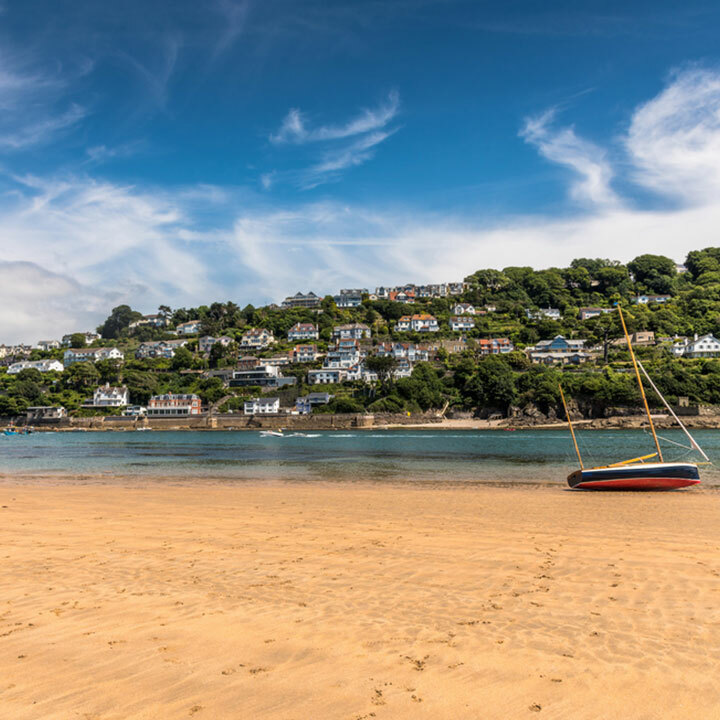 If you love messing about on the water, you’ll love Salcombe – a charming, vibrant little town that still manages to retain that unique Devon charm. In August, the Salcombe Town Regatta entertains visitors and locals with a typically packed programme of festivities. From sandcastle competitions to the harbour swim, it’s all an opportunity for salty seaside fun. Opposite the town of Salcombe (on the east of the estuary) is a long sandy stretch skirting round the coast from East Portlemouth almost to the open sea. East Portlemouth beach, an Area of Outstanding Natural Beauty, is less busy than the Salcombe beaches and is accessed from the village itself or by ferry from Salcombe. 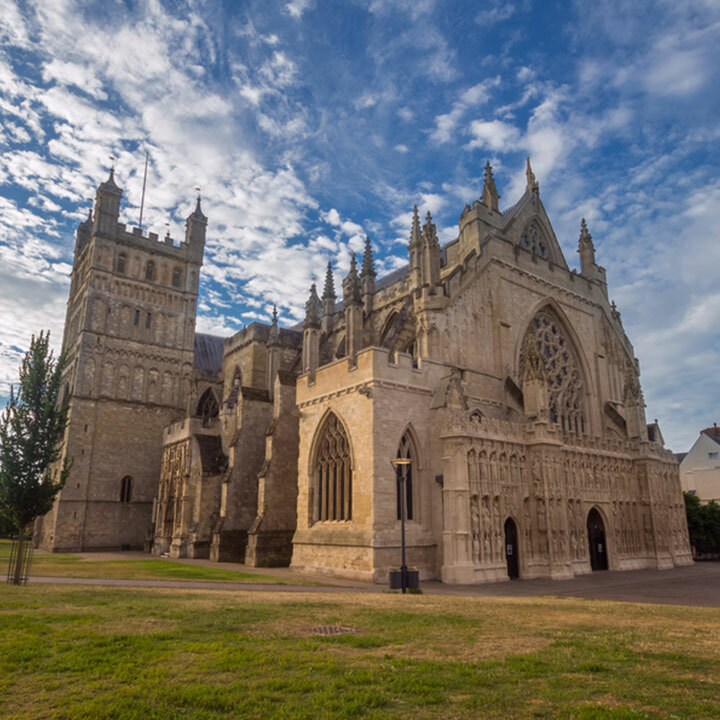 A lively market town famous for its lace and pottery, and regarded as the antiques capital of the south west, as well as being the host for Devon’s largest sausage and cider festival! A visit to Honiton isn’t complete without a trip to the award winning Thelma Hulbert Gallery, featuring local art and national exhibitions. The countryside around Honiton is part of the East Devon Area of Outstanding Natural Beauty, and boasts many local beauty spots including magnificent Iron Age Hembury Fort and Blackbury Camp, both carpeted with bluebells in late spring. 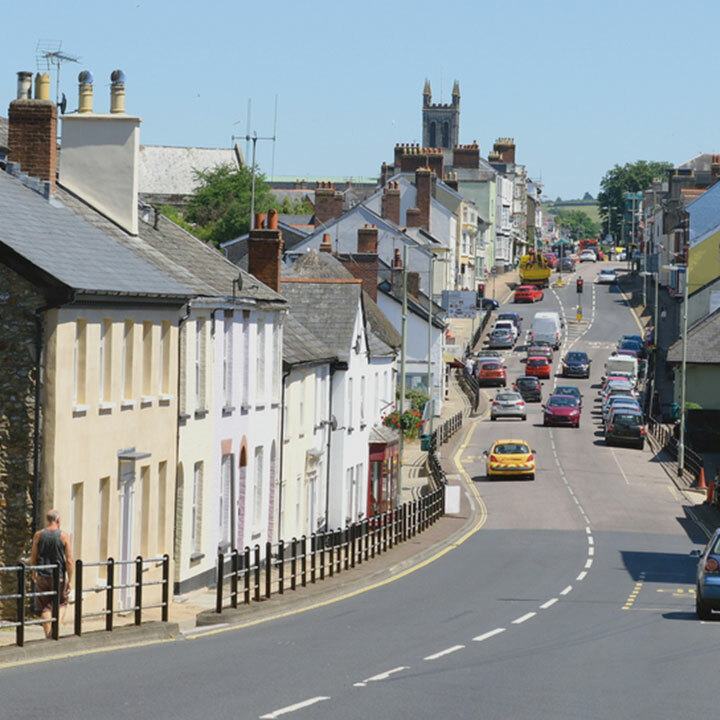 Honiton is perfect for countryside pursuits, walking and getting back to a slower pace of life. 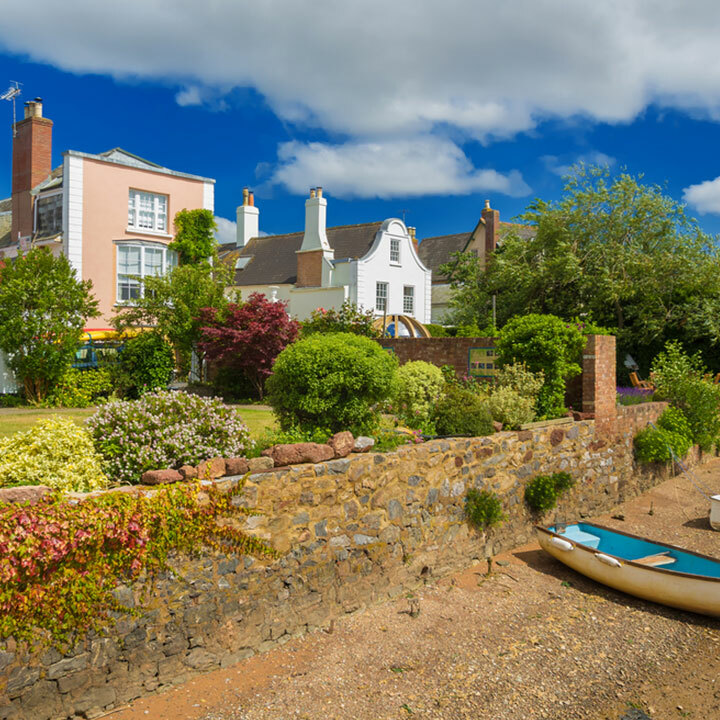 Exmouth beach is a two-mile stretch of golden sand – a paradise for children and adults alike. 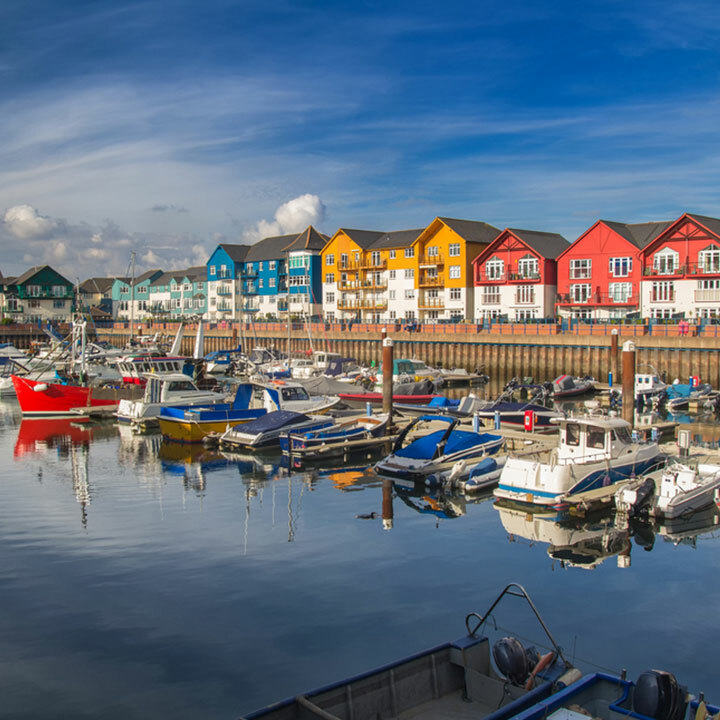 Stuart Line Cruises is a family run passenger boat company based in this beautiful seaside town and running cruises along the River Exe, Jurassic Coast and day trips to places such as Sidmouth, Torquay and Brixham. A gateway to the Jurassic Coast World Heritage site, and on the South West Coast Path, Exmouth beach has views stretching along this magnificent coastline. It’s also a haven for watersports. When asked what they love about North Devon, everyone’s answer is different. One thing is constant though: it’s the perfect playground for doing what you love. Be it spending time with the family, walking the dog, eating out or celebrating with friends. To the people that live here, and visit here, North Devon really is the perfect place. 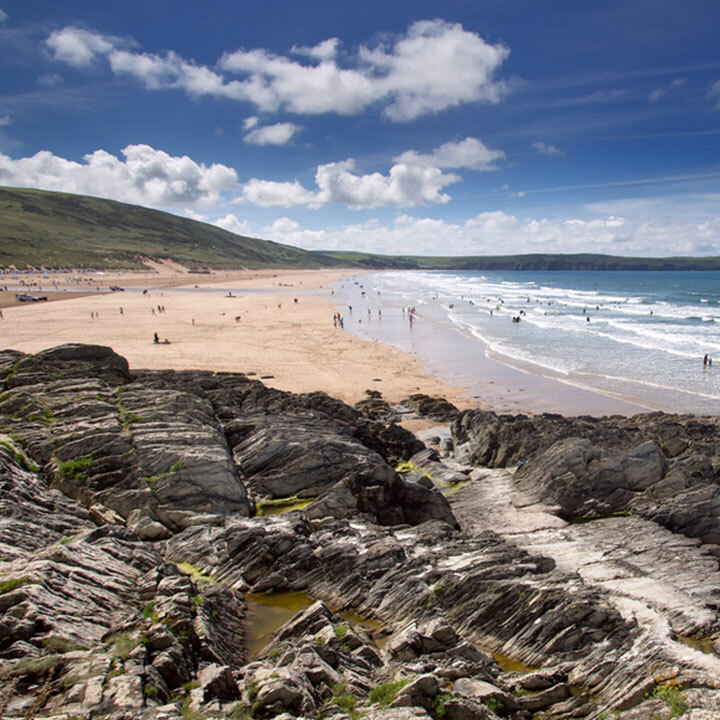 Woolacombe offers golden sandy beaches, perfect for rock-pooling, swimming and surfing. The nearby dramatic coastlines, rugged moors and verdant valleys all demand to be explored. Amazing attractions, great local food and drink and a wealth of cultural experiences await you in North Devon. Clovelly is a unique village once owned by the Queen of England. 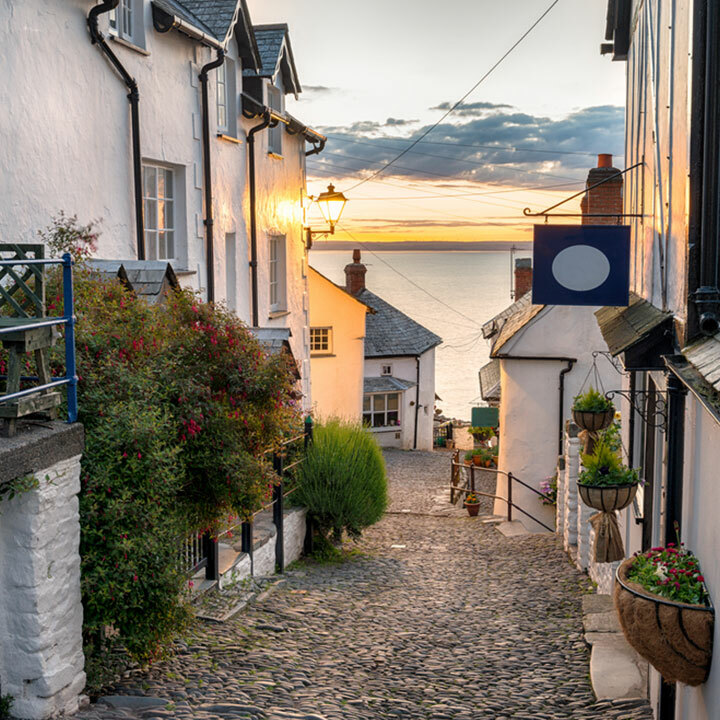 From Elizabethan days until today, Clovelly has been in private ownership, which has helped preserve its original maritime atmosphere and history. Clinging to a 400 foot cliff, its steep, cobbled street tumbles past flower-strewn cottages down to the ancient fishing harbour and the 14th-century quay, bringing glorious views. It is unusual in that it has no cars on its streets, donkeys and sledges being the only form of transport along its cobbled ways. The famous harbour and fish market of Brixham nearby means that Torquay has lots of amazing food on offer. Few things are as wonderful as watching the boats come and go, with a fresh South Devon crab sandwich (one of the local specialities) in hand – except perhaps a big local steak and chips with a pint of beer in a cosy pub. 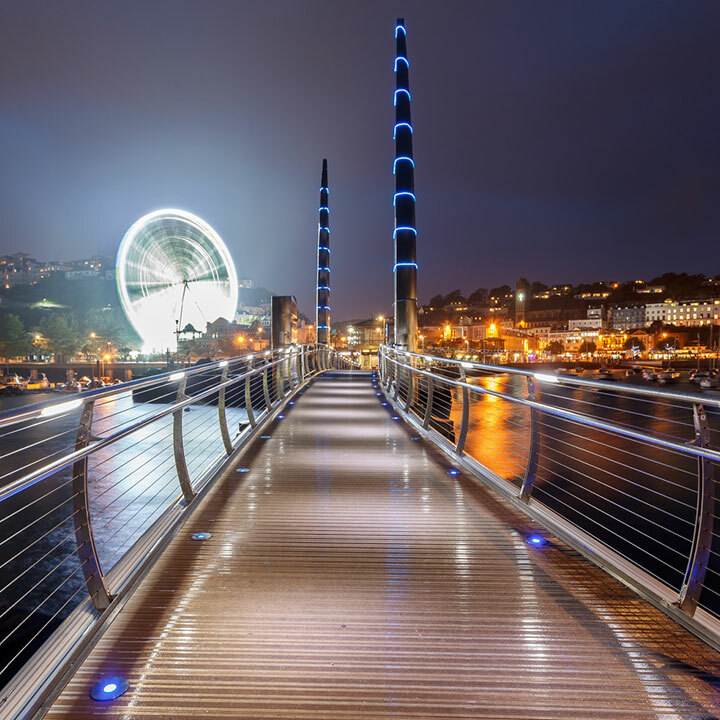 For a fun way to appreciate the whole of Torquay, hop onto the English Riviera Wheel, Torquay’s answer to the London Eye, which will show you spectacular scenes from a great height, or take a boat trip around the bay. Also scary-yet-exciting is Kents Cavern, a labyrinth of caves that were occupied in the stone age, offering tours and hands-on activities – great fun for both kids and adults.